Spray tanning is a healthy alternative to sunbathing or sun bed tanning and takes less than 15 minutes. We all love that radiant, healthy, bronzed, just back from an island holiday look but from young we have learned that the excess UV rays of the sun (or a sunbed) is not good for our skin. Where can I get a spray tan? We have salons and beauty practitioners all over the country using our solution and products. Click on the link below to find one in your area and get your spray tan today! Our 8% spray tan solution is ideal for clients who are light haired, fair skinned with freckles. 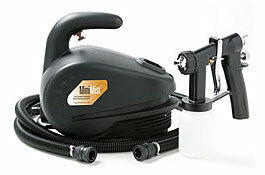 Light weight and perfectly portable, the Mini-Mist® is expressly designed to apply tanning solutions evenly and efficiently. 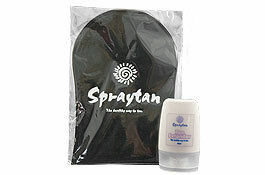 Our 12% spray tan solution ideal for clients who are not sensitive to the sun and tan deeply.